In case you were wondering just how deep former President Barack Obama’s fondness for Islam goes, this should give you a really good idea. In 2012, the Democratic National Committee launched its convention with a series of “kick-off events” that included the first-ever “Jumah at the DNC,” the term Juman being Arabic for “gathering.” That consisted of three Islam-centric events that began with afternoon Muslim prayers followed by a sermon, an Islamic banquet and an all-day festival highlighting Islam. Many of the individuals scheduled to speak during the DNC week have extremely spurious backgrounds, including, astonishingly, support for Al Qaeda and for the U.S. State Department-designated terrorist organization, Hamas. The celebrity Imam or “Grand Imam” slated for the event is Imam Siraj Wahhaj. Aside from Islamic ‘guests’ who support a known terrorist organization, what importance does the event have today? Because it has a lot in common with a more recent event that should concern every American. In recent days, New Mexico police raided a rural compound, arresting 39-year-old Siraj Wahhaj and another man as part of their investigation into a missing three-year-old boy allegedly abducted from his Clayton County, Georgia home by Wahhaj. The younger Wahhaj is the son of the imam who oversaw the ‘festivities’ at the 2012 DNC convention. While at the New Mexico compound, police discovered two women and 11 children ages ranging from one to 15 living in squalid conditions with little food. Wahhaj was wanted for the boy’s abduction, CBS News reported. Later, authorities found the as-yet-unidentified remains of a young child. 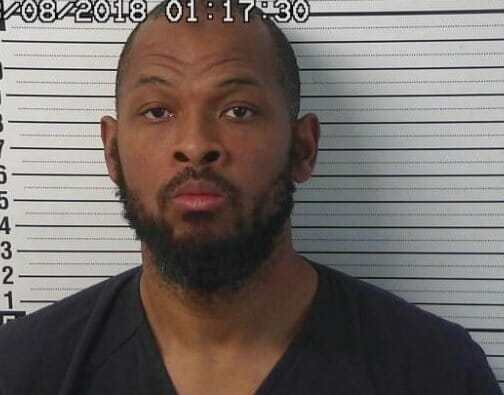 Subsequent reporting noted that police believe Wahhaj is a radical Islamist who was training at least two older boys at the compound to carry out school shootings. USA Today reported an FBI agent testified in court this week that Wahhaj and the others were preparing attacks. Other law enforcement officials supported the FBI’s contention, adding that they believe the children were being radicalized in Muslim extremism. Local station KOB reported that the Taos County Sheriff found children holding ammunition when his team raided the compound. He also told the court that one child told police he was armed. As Frontpage Magazine noted further, the elder Wahhaj has a history of making very ‘controversial’ – even dangerous – statements regarding Islam in America. “Islam is better than democracy- Allah will cause his deen [Islam as a complete way of life], Islam to prevail over every kind of system, and you know what? It will happen,” he once said. As long as you remember that if you get involved in politics, you have to be very careful that your leader is for Allah. You don’t get involved in politics because it’s the American thing to do. You get involved in politics because politics are a weapon to use in the cause of Islam. If only Muslims were clever politically, they could take over the United States and replace its constitutional government with a caliphate. If we were united and strong, we would elect our own emir and give allegiance to him. Take my word, if eight million Muslims unite in America, the country will come to us. And this is the man whom the Democrats, and by extension, former President Obama, associated themselves with (and continue to do so). Funny how the “establishment” media, despite all of their resources, haven’t put any of this together, isn’t it?